The Oklahoma City area is full of some of the most wonderful and eclectic museums this country has to offer. The art is fantastic. The history is fascinating. The exhibits are expertly crafted. There are so many fantastic museums in the area it can be hard to choose. Museums range from topic and interest, so the choice can be overwhelming. Here are the 8 best museums in the Oklahoma City area, for history, train, and cowboy lovers alike! Sam Noble Museum of Natural History – Located in Norman OK (just outside Oklahoma City), home of the Oklahoma University Sooners, the Sam Noble Museum is the home to 10 million objects that are owned by the people of Oklahoma and showcase their history in a unique and memorable fashion. With the goal of education, understand, and appreciation at the forefront, the Sam Noble Museum boasts the fascinating cultural and natural history of the great state of Oklahoma. Fred Jones Jr Museum of Art – The Fred Jones Jr. Museum, also in beautiful Norman, OK, is the home of 5 collections ranging from American, Asian, and European Art to Photography. It also hosts several traveling collections each year, adding to the richness of the experience. Through a unique program with the OU Athletic department, the museum is now and will continue to be, free for all visitors. Oklahoma City Museum of Art – The OKC MOA is located in the heart of downtown Oklahoma City. This expansive facility is birth place and home to all types of visual arts, including films. Classes are offered for people of all ages, and exhibits from across the world find a temporary resting place in the glorious halls of the Museum of Art. The museum’s permanent collection features photography, prints, American art, European art, post-war and contemporary art, as well as glass. Science Museum Oklahoma – The SMO is an interactive museum where all ages can explore the law of physics, outer space, gadgets, and more. This hands on approach makes the museum a great choice for adults and kids alike. There’s even a Segway course to navigate. Who can go the fastest? Who can use just one hand? There is fun and learning to be had at Science Museum Oklahoma. Museum of Osteology – The Museum of Osteology is America’s first bone museum. 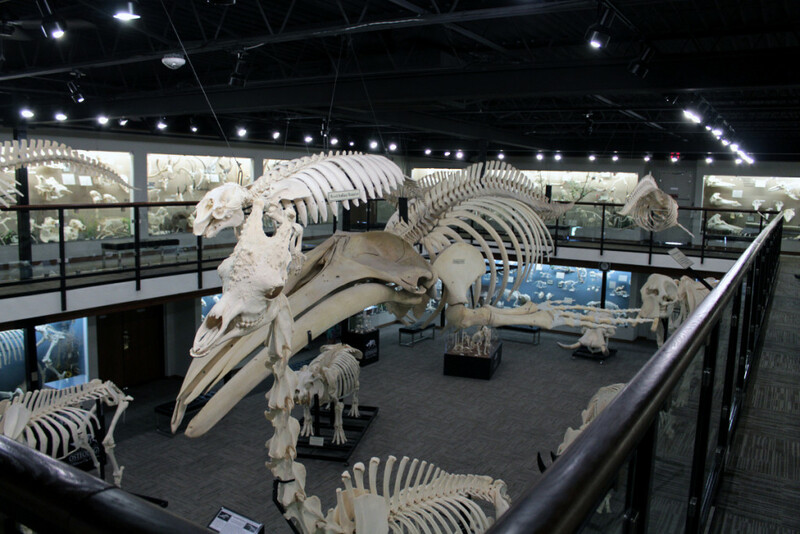 By digging in to these great displays, you’ll have the chance to see the skeletal structures of mammals, reptiles, marsupials, aves, and more. You can see exhibits that compare skeletal structures and demonstrate how the structure encourage motion or study anatomy. There is also a great scavenger hunt in the museum. Oklahoma History Center – The Oklahoma History Center is an amazing place where the unique history of Oklahoma can be explored. From geology to commerce, from transportation to culture, you’ll have the opportunity to step through time and see how the Oklahoma that we know and love today came to be. The Oklahoma History Center is part of the Oklahoma History Society and also includes many smaller museums and monuments that are a part of the exciting Oklahoma history learning experience. Oklahoma Railroad Museum – The ORM is a fascinating glimpse back in time at the vast railway system that developed in the United States. Featuring passenger and freight cars, as well as a locomotive, you can explore the train, train memorabilia and even take a ride April through August. National Cowboy Museum – No other time in American history has been glorified more than the era of the American cowboy. The National Cowboy Museum allows you to explore the wonder of a bygone era of cowboys, Native American, and western life. You can even sign up and take a class, including oil painting and charcoal drawing, as well as uniquely western skills like rawhide braiding and basket weaving. We also invite you to come check out our Oklahoma City bed and breakfast, where each room has a unique theme. For the museum and history lovers, we offer a Legends of the Game baseball themed room as well as an OU Alumni room, both with amazing memorabilia to continue the educational high of a great day spent in a museum. Photo courtesy of Ayleen Gaspar.